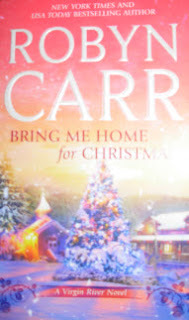 Bring Me Home for Christmas by Robin Carr is the story of Becca Timm, a recently out of work teacher who decides she has nothing better to do over the Thanksgiving Holiday than spend it with her brother who is going to meet up with his buddies in Virgin River, California to do a little hunting, a little fishing and just have a hang out with the guys weekend. Brother Rich is not too happy that Becca has invited herself along on this trip, but what can he do. Although Becca has a boyfriend who is about to propose, she wants to find out once and for all if she is finally over her old boyfriend for good. Telling a few white lies to her parents and her current beau, she shows up on the doorstep of Denny Cutler. Needless to say, things get really interesting when you put Becca and Denny in the same truck together. Let's just say that Becca ends up extending her stay a bit longer than she originally intended. Her selfish boyfriend is unhappy about it and her Mom is none too pleased...well not too please, at first, I should say. Through in a good snow storm to the mix and you get a very interesting story of how two former young lovers end up back together again. 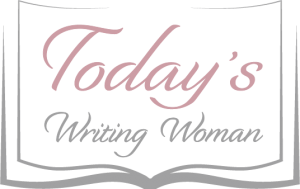 I have read Robyn Carr before in an earlier book from the Virgin River Series. I think that I will have to go and read a few more.